It is already June and only 2months until Chelsea is a big sister! June has been an uplifting month for Chelsea and our family. Chelsea has now gone 19days without a single seizure – the ketogenic diet is definitely working! We saw the specialist today at the Mater and reviewed her progress and eating patterns. If Chelsea continues to do really well on the diet, at the 3month stage we can reduce her medication! Don’t forget Chelsea’s world record of seizure free time is 40days so she is half way there to reaching her record J . Chelsea will be 2 in September, developmentally she is currently at the age of a 7month old, I guess its just numbers – we have to stay positive, as Chelsea is still making progress – you just gotta give her time! Rolling and babbling is Chelsea’s new favourite things to do, we have now started to give her more credit than we used to. If you ask Chelsea to give you a cuddle, yes she will put her head on your shoulder. If you start saying dad dad daddy at her she sometimes replies with a diddy. She knows how to play peek a boo and can anticipate you surprising her. 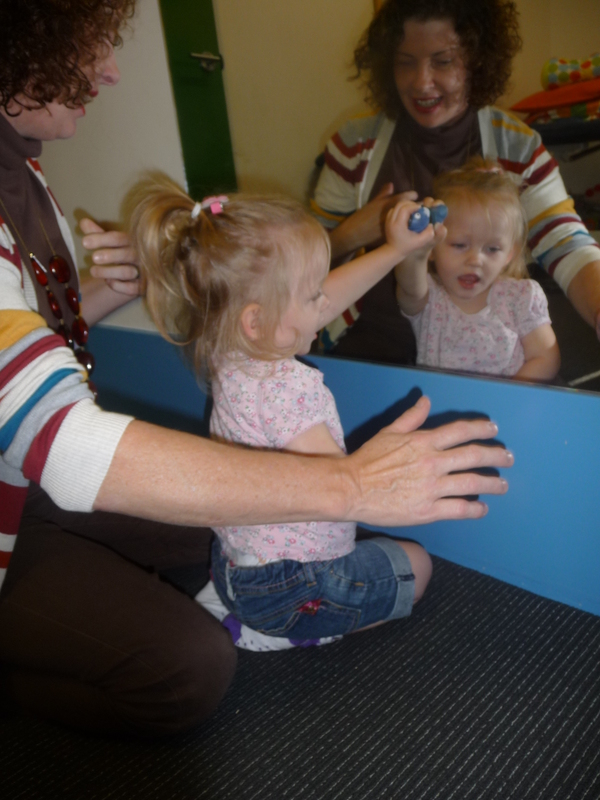 At speech therapy we were amazed at how well she interacted and babbled to the therapist. 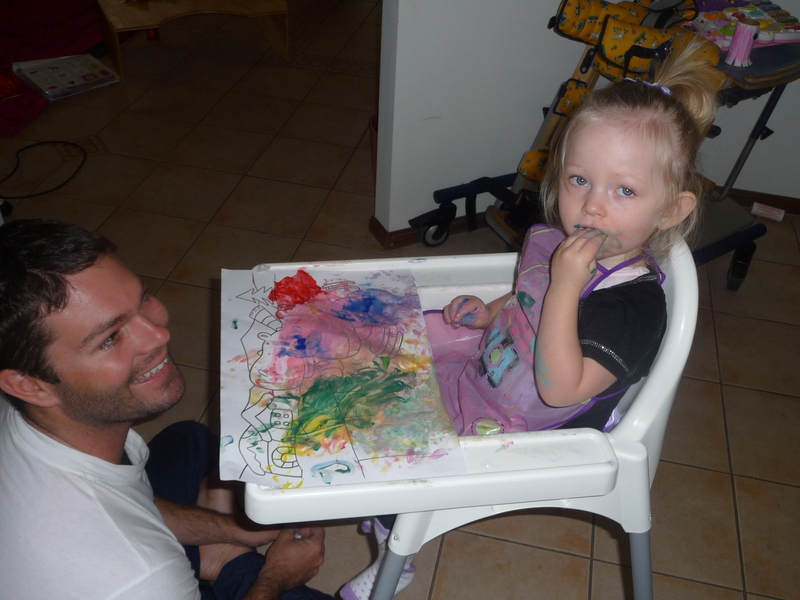 Trent – Chelsea’s daddy made her a specialised desk, similar to the ones that the therapist had in our session. 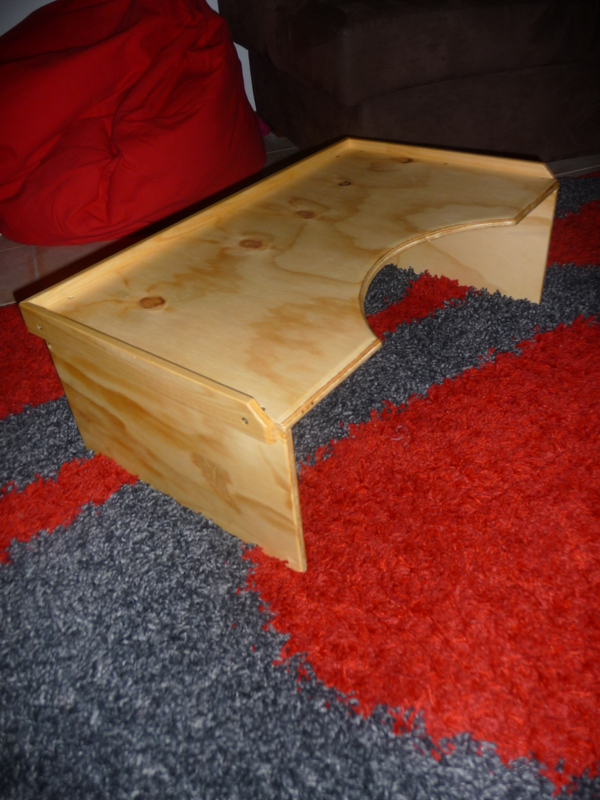 Photo below – We are also selling them – made to order: email chanceforchelsea@gmail.com if your interested. We were pleasantly surprised when purchasing Chelsea’s new shoes for her standing frame – the sales guy mentioned that you usually get 1 size up, but not too many as kids feet slide in their shoes as they walk – eekk I had a sad moment in my head, but me being me said “oh she can’t walk, but the physio suggested these shoes for her standing frame” the sales guy was very kind and offered us a discount on the shoes, we saved 25% thank you very much , it was heart-warming that yet again a complete stranger is willing to help out just that little bit. 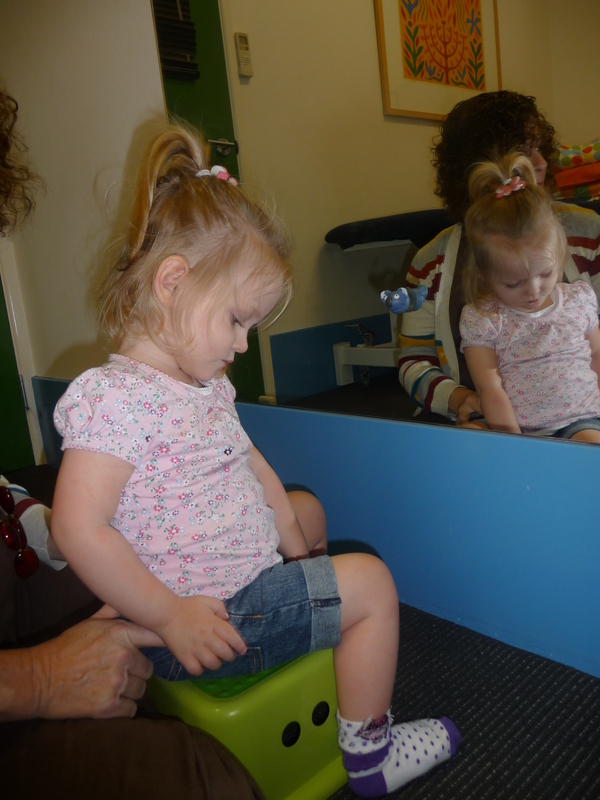 Friends and family have noticed a change in Chelsea too, she is using her right side of her body a bit more, babbling heaps, really good eye contact and interactive. 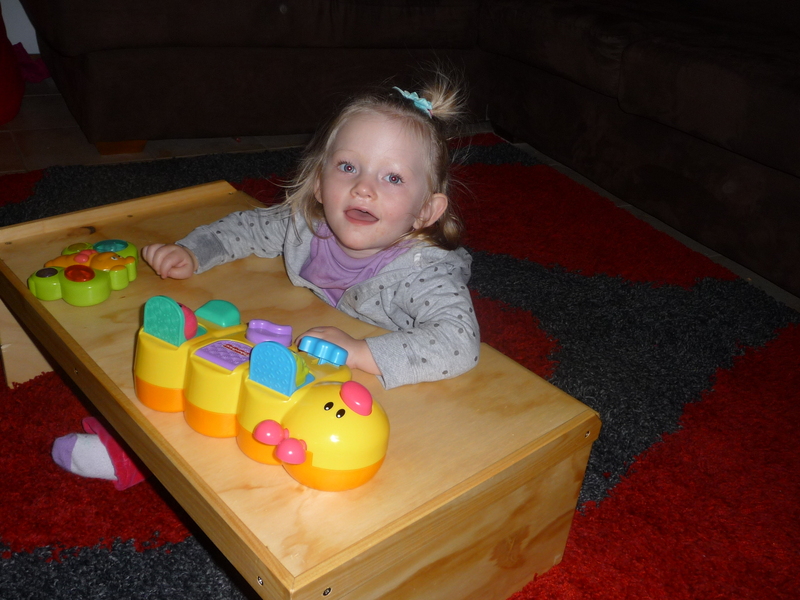 The music therapist at special kindy was very impressed with her interaction and attention the other week, Chelsea was given 3 song choices on a board, she picked Banana’s in pyjamas, so we mixed the cards up again and yep she picked the same 1 again! That was nice to see, she knew what she wanted. Everything seems to be so positive lately and is a nice change and is very uplifting for Trent and I.